retro, classic, ridiculous, mysterious, beautiful, cool… you’ve summed up what this is all about ! I reall y love your additions on this one. I’m eager to work on my version now ! Thanks chaps, glad you like! 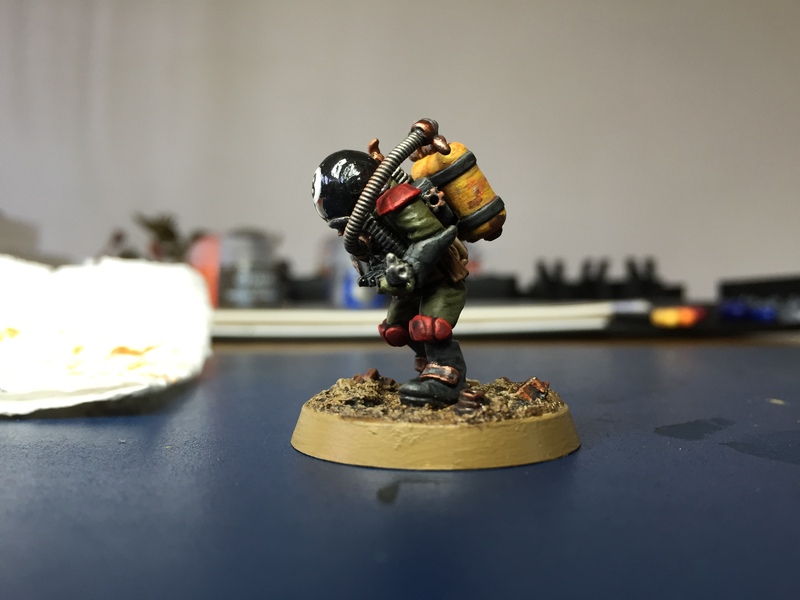 I found it a joy to do – I’m really looking forward to seeing what others do with him! I’m also looking forward to painting a partner up for him… wait until you see what I have in mind for him! 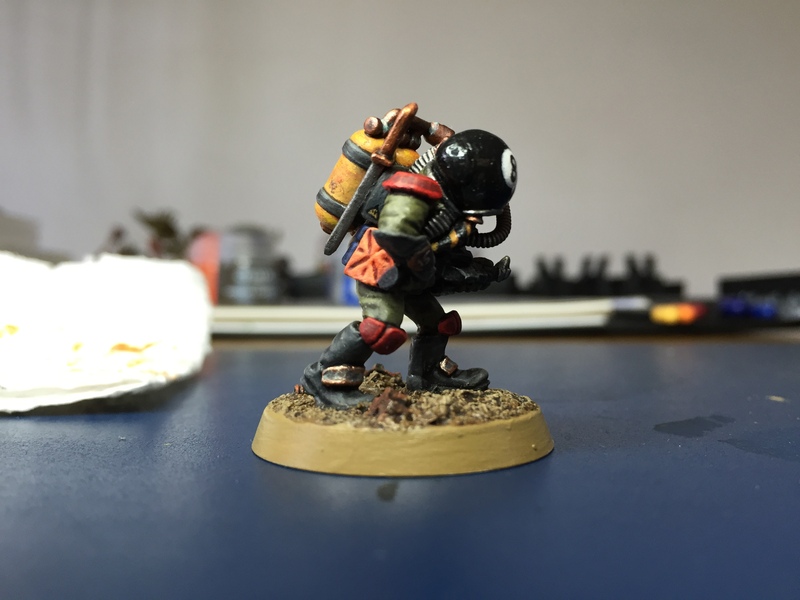 I don’t know much about Rogue Trader, only that the models are very cool. This “8 ball” character is nuts, an odd ball indeed but I love the model. 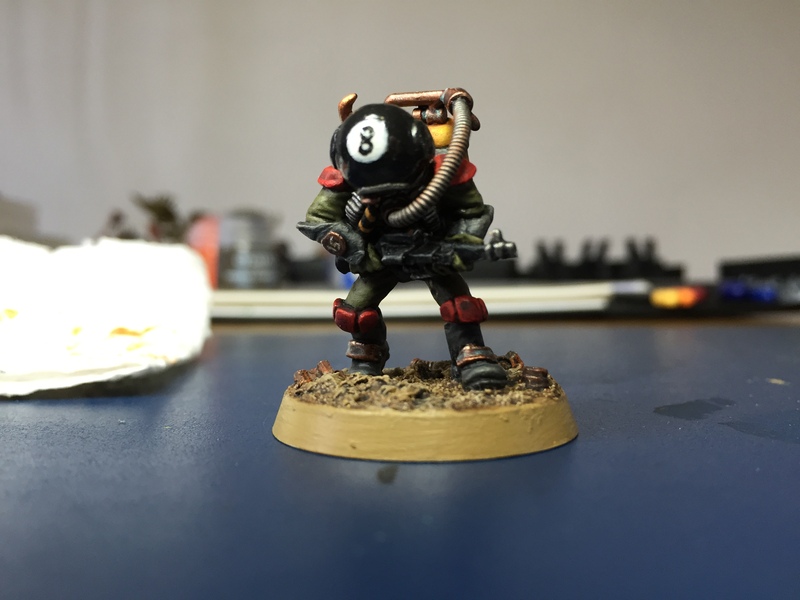 I like how you’ve painted his 8 ball head. Well done! Sorry mate I accidentily pressed some “Mark as spam” button on your Rambo comment. I’m new to blogging and my thumbs are abnormally big so I clumsily pressed something I shouldn’t have haha.